When we last profiled Liberty Network Services (LNS) in April 2015, you had 62 advisers. How many advisers are there now? 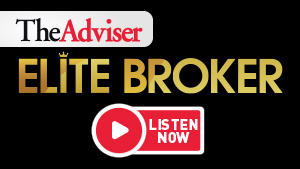 We have 96 advisers across the network. We should be crossing that magical 100 milestone shortly. Things are ramping up more and more. We’ve been selective in the advisers we work with as we want to make sure we are in a good position for the long term. Where are the brokers coming from? Are they new to the industry or more established loan writers joining from other groups? We probably have about 10 per cent who are new to the industry and by that I mean they have never worked in finance before. Then we have about 20 per cent who are new to broking but are coming from a banking, accounting or financial planning background. So all up we are seeing about 30 per cent new to the profession. How important is digital to the Liberty Network Services proposition? As a mature fintech, digital innovation is second nature to Liberty and is a key element of the value proposition we provide LNS advisers. Tell us about your Spark platform. Has it become a real drawcard for brokers to join the group? It has and it’s something that is constantly evolving. One area that we have enhanced is the document management environment. All documents are held in the cloud, which makes it easy to drop and drag files and package up documents and deliver them to customers in an orderly fashion. You often find among aggregators that the whole area of document management and packaging files to send to lenders has been somewhat of a challenge. Spark is a platform that is completely mobile and continues to evolve. It is now four years young and is probably one of the biggest reasons why people are joining us, because our technology is so efficient and so effective. It enables you to work smarter. How else has digital played a role in Liberty’s recent growth? With the launch of the new Liberty branding last November, there has been a big focus on driving our digital presence across the market. A major part of that was updating our website, which is now very dynamic and really quite different to anything else you might find in the market. There are a number of things we are doing on there that lend themselves to the world of digital. One is our loan insight tool, which provides the customer with an indicative pre-approval around what they are looking to borrow. That enables us to improve the quality of lead flow through to our network. So we have seen a good increase in the conversion rates because of that tool on our website. It has also attracted a wider spread of customers to what we would have previously seen when we were pretty much only non-conforming. So our customer base is widening and we are writing a lot more prime business. The other thing that is really working well for us is what we call the ‘Liberty barometer’. Heidi Armstrong is our marketing general manager and she is doing a lot of work to build up the content on that part of the site, from podcasts to interviews to helpful articles. We now also have two content writers at Liberty. This has all been designed to provide better, more targeted content that our network can share with their clients through social media. We also have various campaigns that we are driving digitally through our network. Everyone in the network has the option to opt in or opt out and 80 per cent are opting in, which is great. About a year ago, we had around 50 to 60 per cent of our network on Facebook and LinkedIn. It’s now around 80 per cent and continuing to grow. When APRA announced measures to cool investor lending last year, the non-bank lenders saw a decent flow of business. Did the changes in the market have a positive impact on Liberty? Over the past nine months, we have seen a big change in the market, obviously with APRA and the focus on capital and investor lending. That has really opened up an avenue for non-banks lenders like Liberty. We have enjoyed a significant shift in volume as a total group both from a third-party channel perspective and from our own adviser network. New customers discovered Liberty Network Services while trying to find alternative options when the banks started tightening their lending. For us, it was more by default than design. It was a perfect storm in terms of these changes happening and us getting to a network size that we could then release the brand to the consumer, which we did in November. We also started to go to market with our personal lending proposition online. A number of those facets have led to a significant increase in traffic to our website, which results in a greater number of leads flowing through to our network.